One of socialism’s last strongholds in the western world has fallen. For the first time since 1999, a new ruling political party has emerged in Venezuela. On December 6th, an opposition headed by Venezuela’s Democratic Unity Coalition won 99 seats in the National Assembly. The PSUV, Venezuela’s previously ruling Socialist Party won just 46 seats. The Democratic Unity Coalition isn’t a political party itself, but rather a collection of other parties and politicians united in opposition to the recent Socialist government and policies within the Venezuelan government. Since Hugo Chávez, founder of the PSUV, was elected to the presidency, Venezuela has deviated from the more conservative Bolívarian ideology towards a more liberal, isolationist policy. Chávez passed away in March of 2013 at the age of 58, but his legacy was carried on by Socialist successor Nicolás Maduro. Maduro was not well received as president, due to a spoiling economy, a massive rise in crime, and poor foreign policy. Low worldwide oil prices, in conjunction with poor management of the state-run oil company have caused poverty to soar and economic growth limit. The oil sector is responsible for roughly a fourth of the Venezuelan economy. A recent Wall Street Journal survey finds that a shocking 76% of Venezuelans live in poverty. 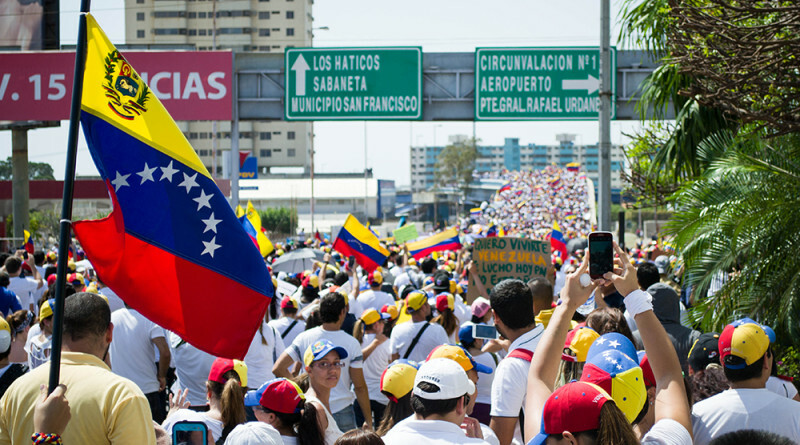 Social studies teacher Ms. Stevens thinks that Maduro’s, and the PSUV’s failures in power won’t cause a worldwide, or even a Latin American movement away from Socialism. “I think it’s indicative of a larger trend towards the right,” she says. “You see it in France, you see it in Venezuela, you see it in this country. Latin America has trouble with the ‘tasty morsel’ of democracy,” she said. Ms. Stevens also said that while Venezuela is moving toward the right in its policy, she won’t rule out that it could swing toward the left again at some point. Maduro will remain in presidency until elections in 2019, but it seems as likely as ever that Maduro, as well as Venezuela’s Socialist Party, will not enjoy another term at the executive level.